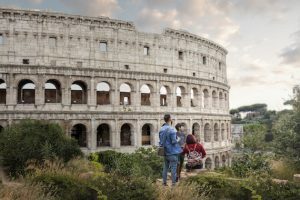 In summer 2019, Disney Cruise Line will sail on new itineraries to seven new ports in Europe, including a first-ever round-trip cruise from Rome and first-time visits to destinations in Sweden, France, Spain, Denmark and Northern Ireland. Disney Cruise Line will take you on a grand tour of Europe with visits to the Mediterranean in early summer and northern Europe in late summer. 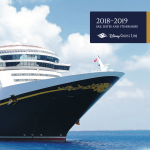 Plus, adventures continue with sailings to Alaska, the Caribbean and the Bahamas, including new cruise lengths aboard 2019 DCL Itineraries the Disney Fantasy. More info about Disney Cruise Line ports can be found here. Bookings open to Platinum Castaway Club Members and Golden Oak on March 5, 2018 at 8 a.m. ET. Bookings open to Gold Castaway Club Members on March 6, 2018 at 8 a.m. ET. Booking open to Silver Castaway Club Members, Adventure Insiders and Disney Vacation Club Members open on March 7, 2018 a.m. ET. Bookings open to the general public on March 8, 2018. 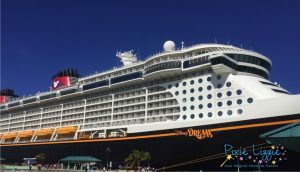 It’s best to book as soon as itineraries open up on Disney Cruise Line, for as the ships fill up, the price goes up. Call or use the form below today!! I have 30+ families that are on my current wait list to book, and I would love to add you to that list! Also in the summer of 2019, you can enrich your experience by combining a cruise with a package from Adventures by Disney®. Dig Into a Delicious Offer – It’s FREE DINING!